Hi all! I’m back with another card using Simon Says Stamp October Card Kit. This kit = truly awesome. I have so many ideas for using it and the minute I start flipping though patterned papers from the kit I feel incredibly inspired. Talk about awesome products! I was planning to share this card during the blog hop earlier this week, but Wanda and I ended up making almost identical cards, lol! So I made a different one to share during the hop and sharing this one and also a video today. I felt inspired by the pre-cut journaling card and figured it would work beautifully as a little shaker. I didn’t have a whole lot of sequins on hand at the time when I was making this card (we had to re-locate rather urgently a few weeks ago so I’m missing a lot of my usual supplies) so I had to use the only thing I had which were sequins from Gossamer Blue September kit. I wish I’d had some pink and gold to add to that shaker, but I only had white and black so I went with that. I also die cut the Hello word out of black cardstock and doubled or actually tripled it to make it a bit more dimensional and sturdy. I used Hero Arts White Embossing powder for the You’re Pretty Fantastic sentiment and embossed that onto a strip of black cardstock. 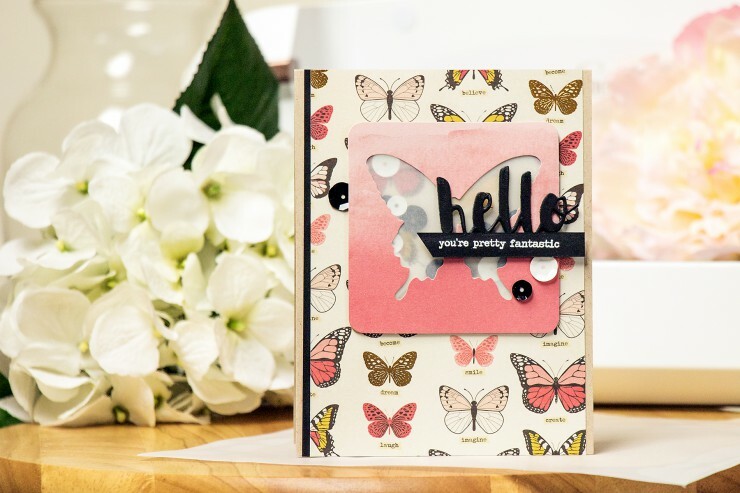 I foam mounted my little shaker panel onto a sheet of patterned paper with gorgeous butterflies, added a strip of black cardstock to the side to balance the black Hello and adhered this onto an A2 card base created out of Neenah Desert Storm Cardstock. Like this video? Please give it a thumbs up and share! Remember to subscribe not to miss any new videos from my channel. Great work Yana. 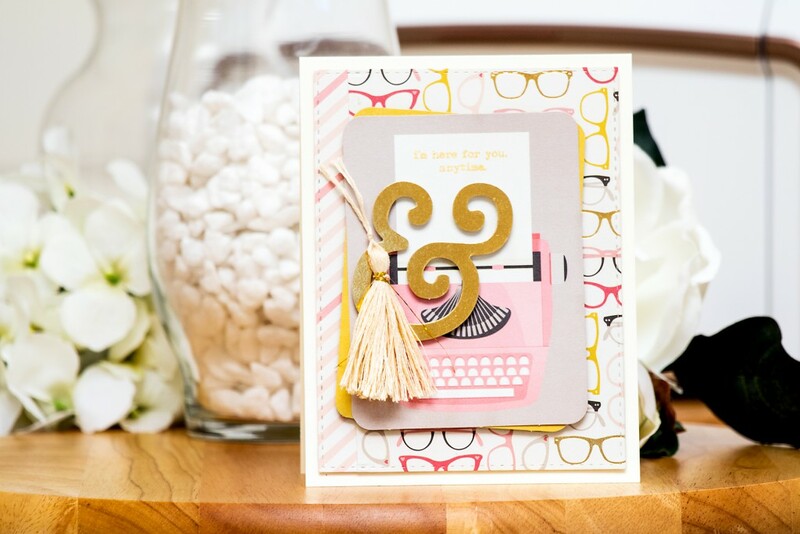 you always make cardmaking look so seemless! LOL Good job! What a stunningly beautiful card Yana! It’s so feminine and pretty! thank you so much, Celeste! Glad you like it! thank you so much, Shari! this one is truly gorgeous! This was really inspiring as always ~ I love your videos! Very inspiring as always ~ love your videos!